Osteoarthritis is a painful condition in which cartilage that normally serves as protection for joints gradually wears away over time. Eventually, this causes bones to rub against one another and results in pain and disability that make it difficult to function normally. 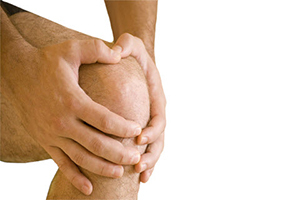 Osteoarthritis can occur in any joint, but it's most common in the knees and the hips. There are a number of strategies that can be used to treat knee osteoarthritis, including exercises guided by a physical therapist, known as exercise therapy. One component of exercise therapy is called resistance exercise, which uses some form of resistance—such as body weight, elastic bands or machines—to force muscles to contract. It has been found to reduce pain and is commonly used in many physical therapy programs. Some studies have evaluated the use of resistance exercise for treating knee osteoarthritis, but there have been flaws in the research that makes it inconclusive. In addition, new research has emerged on the topic recently that calls for an updated review to analyze. With this in mind, researchers conducted a powerful pair of studies called a systematic review and meta-analysis. The systematic review gathered all of the highest-quality evidence on the topic available, and the meta-analysis compared the findings of these studies to one another with the goal of reaching a conclusion. To perform the review, investigators searched through five major medical databases to find studies on the use of resistance exercises to treat knee osteoarthritis. They only accepted randomized-controlled trials (RCTs)—which are considered to be the highest quality of individual study available—that compared resistance exercise to a control treatment. This could include no treatment or something basic like an educational course that did not include resistance exercises. The search led to a total of 17 RCTs, which included information on 1,705 patients with an average age of 63.5 years. Investigators than analyzed each of these studies and then compared their findings with one another to identify similarities and trends. Results showed that resistance exercise led to significant benefits when compared to control treatments. In particular, these types of exercises were found to reduce pain, relieve stiffness and improve overall function for patients with knee osteoarthritis. Further analysis showed that exercises with a higher intensity led to greater improvements in pain and function than those that were performed at a lower intensity. Based on these findings, it appears that utilizing resistance exercises can be beneficial in a number of ways for patients with knee osteoarthritis. Common exercises that may be helpful in this capacity include seated leg presses, leg extensions, leg curls and hip adduction and abduction exercises. Many physical therapists typically use these types of exercises when treating this group of patients, and those with the condition should, therefore, seek out their services in order to achieve an outcome that will help them move and function more easily.